The Tflonflex 15 is a composite hose for suction and discharge a variety of aggressive chemicals, supports a pressure of 15 bar. EN 13765: This European Standard specifies requirements for four types of multilayer thermoplastic hose (unvulcanized) and union sets with accessories for the transfer of hydrocarbons, solvents and chemicals. Specifies step sizes from 25 mm to 300 mm, working pressures from 4 bar 1) up to 14 bar and temperatures from -30 ºC to 150 ºC. 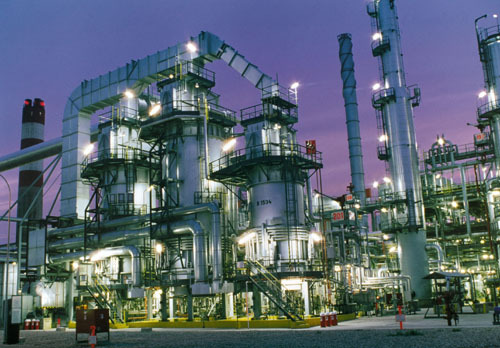 Type 1 hoses are suitable for steam applications. 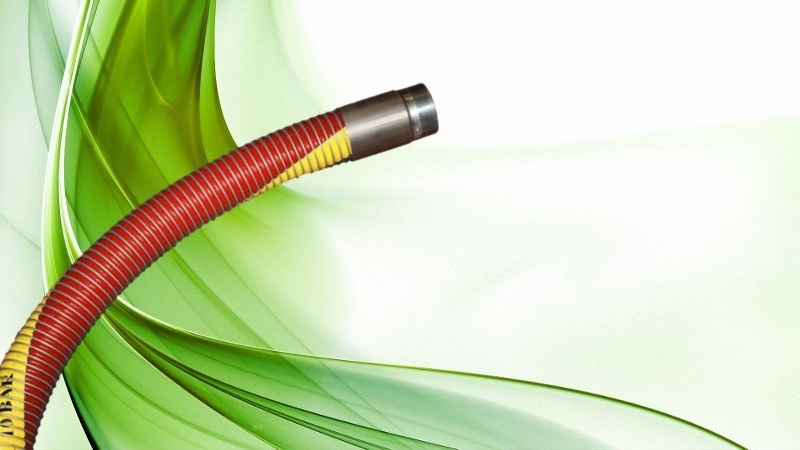 Hoses type 2-4 are suitable for liquid applications. -NOTE 1 The attention of users is drawn to Annex A concerning the selection of the material of the inner wall of the layers and any polymeric coating of the inner coil in relation to (the) product (s) chemical (s) it will be carried by the hose or union sets with accessories. -NOTE 2 The manufacturer should be consulted when going to consider using a polymer coating inside wire to carry oil low conductivity or chemical. 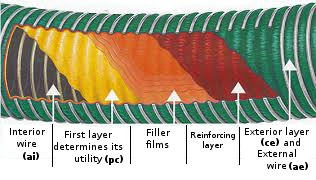 Interior: Inside Tflonflex 15 composite hose, consists of layers of PTFE (Polytetrafluoroethylene). Interior Reinforcements: The inner reinforcement of composite hose Tflonflex 15 consists of a spiral stainless steel (see Table 4). Exterior: The exterior of the composite hose Tflonflex 15, is formed by a polyester fabric impregnated with red PVC. Exterior Reinforcements: The exterior reinforcement of composite hose Tflonflex is formed by a spiral of galvanized steel wire or stainless steel (see Table 4). On request we can supply specially coated Fireproof, resistant CL-1. On request we can supply Aramid reinforced for 20, 25 and 40 bar working pressure. On request we can supply the covers with different colors. Composite hoses must be fitted by qualified and trained personnel with special equipment. JJB EUROMANGUERAS mounts performed by highly qualified personnel with over 25 years experience in this type of hose. 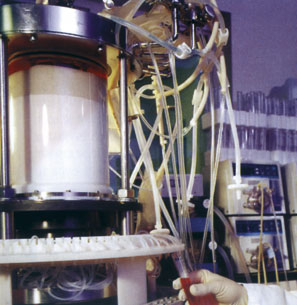 See our Chemical Compatibility Chart. The price for assembled hoses are quoted under specific request of the customer, this requires knowing the hose diameter, length, type of terminals or connectors mounted (Camlock, Guillemin, Storz, flanges ...) as well as material fittings. Is also interesting to know the type of product that will flow through the hose, to recommend the most suitable hose. To monitor each of our hoses, proceed to dial on the ferrule, with a control number and date. On request the certificate of tests with their corresponding costs is issued. Go to test certificate. For more information on composite hoses, click here or go to the category Composite Hoses and then click "More".